Having gone the previous week to House of Torment, I was able to take a trip to Melrose Park, home of the amazing Taste of Melrose held every Labor Day weekend. It is also home of one of the scariest haunted houses in Illinois, 13th Floor. Located at 1940 George Street in Melrose Park, this slightly secluded dungeon of doom rests in another warehouse, much like House of Torment. With free parking available, it is easy (and cheap) to park your car and walk across the street to meet your doom. If I had any complaints, the outside of 13th Floor is nothing to look at. Sure there was horror themed music playing for those not sure if they arrived at the right place but a bigger sign or more actors in costume, mingling with the crowd I think would attract more people. 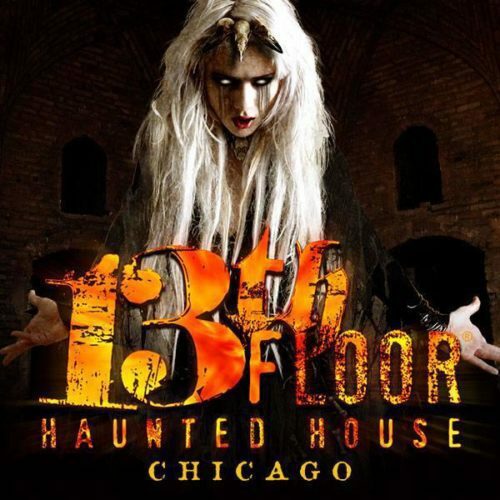 13th Floor splits itself up into two attractions: Cursed Purgatory and Dead End Street District Freakshow. Both attractions are part of your admission and so well worth the price. As you enter, it feels like one just walked into the opening credits of Tales From the Crypt as you travel around a maze until you walk inside a castle. Without giving too much away and leaving the suspense and surprises to you readers, I will just discuss a few of my fondest moments inside Cursed Purgatory. One of them is the actual castle itself, which has bloody severed heads nailed to the wall, some without the bottom half of their skull, oozing all sorts of gunk and gore. While the actors pop out all around screaming away, hoping to make each visitor jump, one of the actors silently followed myself and my group thus making this moment all the more creepier. One of the rooms had what looked like the bat-looking Dracula walking down a staircase in a set that looked just like out of a movie with impeccable detail and design. I especially liked being forced to walk through a fireplace on my hands and knees and entering a slanted room filled with strobe lights and a hairy monster trapped inside with you, screaming. The slanted room was especially fun as you try to walk up and walk down without falling (we never fell and it all seemed very safe). The ultimate highlight was walking through a chest deep swamp which was all done with lasers and fog machines. As you travel along in the swamp, something underneath you is ready to pop out. Once Cursed Purgatory was finished you then enter the second part of the haunted house, the Freakshow. For those of you afraid of clowns, you may want to grab a hold of a buddy as this section is filled with laughing, screaming clowns. One clown scared the hell out of me as I was walking into a room and he barreled right at me, stopping short of my face and screaming with laughter. Kudos to this actor for making me jump as I was not expecting that at all. Rooms filled with bloody severed doll heads, old abandoned carny rooms, and even what suddenly feels like an empty hospital with zombies munching away on dead bodies (this was especially gross). Were some of my favorite moments in the Freakshow. The final room with a clown judge hollering at each person as a masked maniac with a chainsaw flying out of nowhere was such a great climax to one hell of a haunted house. Walking out into the night sky, I wanted to go through the house again as I had so much fun, grinning from ear to ear. 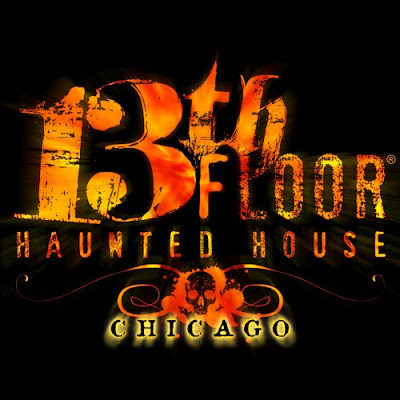 13th Floor is a must to take your significant other and / or group of friends this Halloween season.